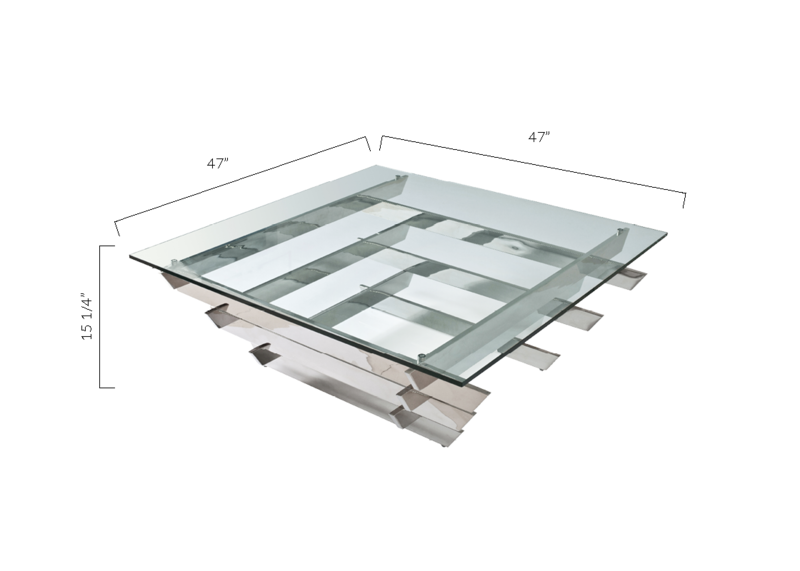 Bold and innovative design slide right into your home with the Luxor Glass Contemporary Coffee Table. The unique structure of this piece combines a functional glass surface, and interwoven stainless steel legs. Resulting in a table that is both eye catching and chic! There’s a reason why the word lux is in the title, this exquisite table will only enhance the richness of your home. Modern decor meets artistry, when you pair this coffee table with our Bergamo Sofa. L: 47" W:47" H: 15 1/4"